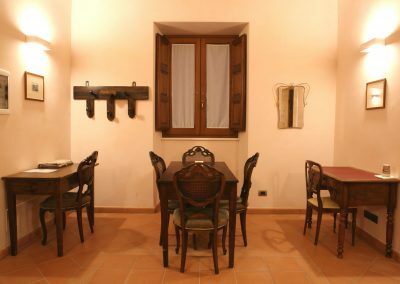 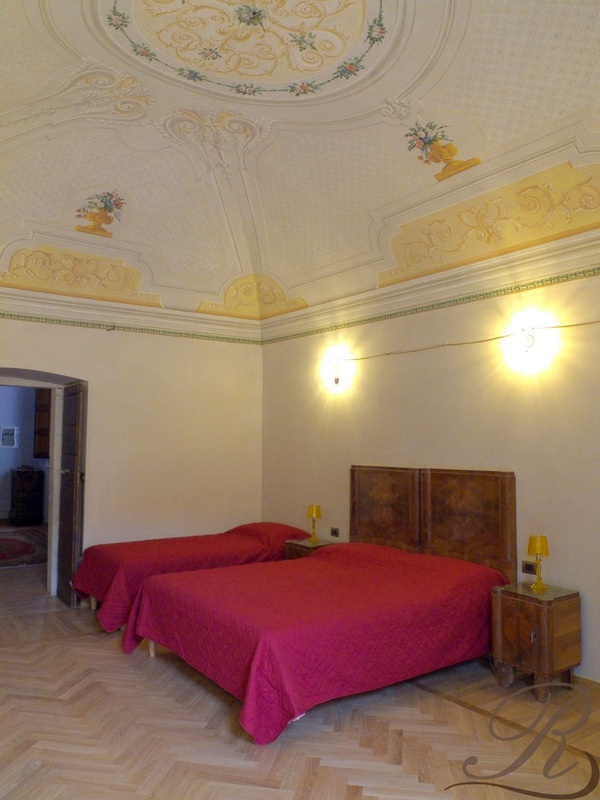 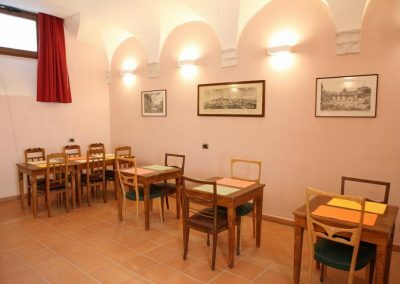 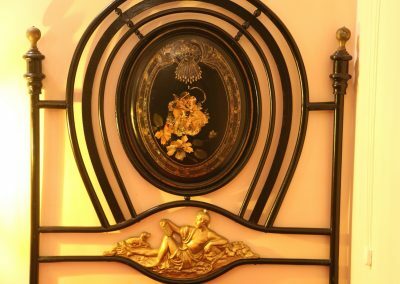 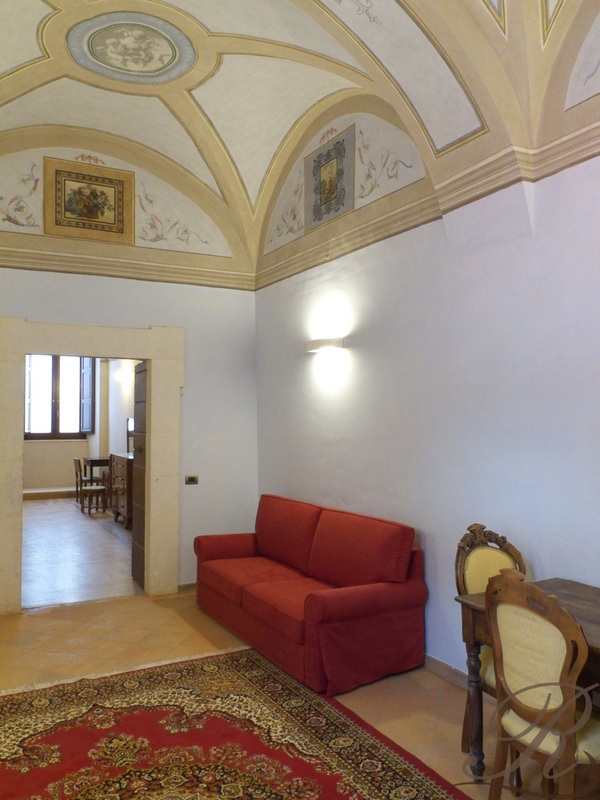 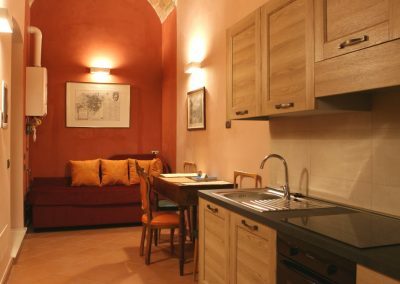 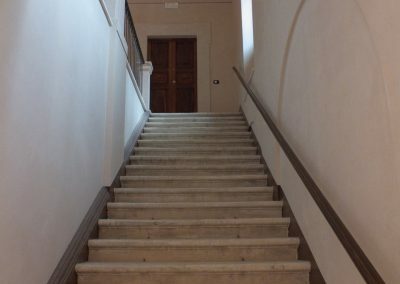 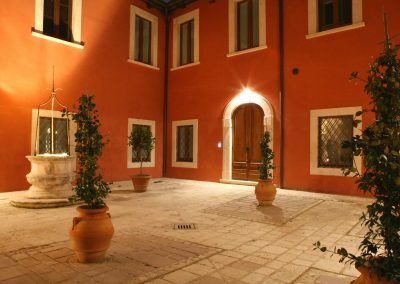 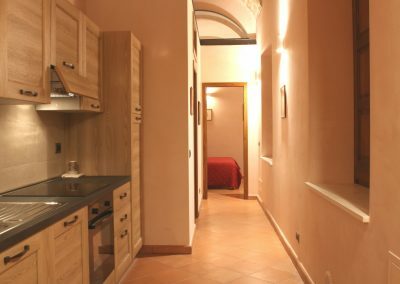 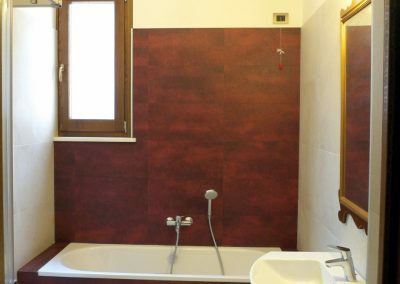 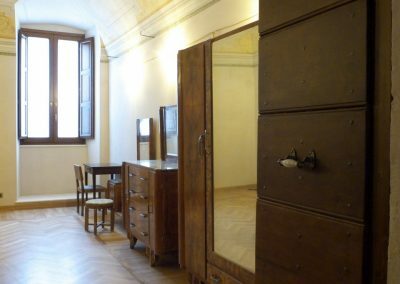 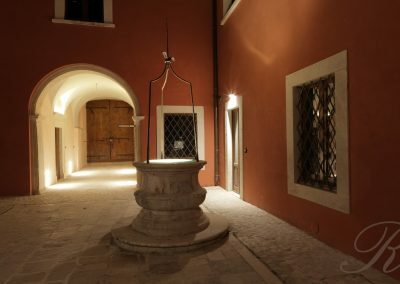 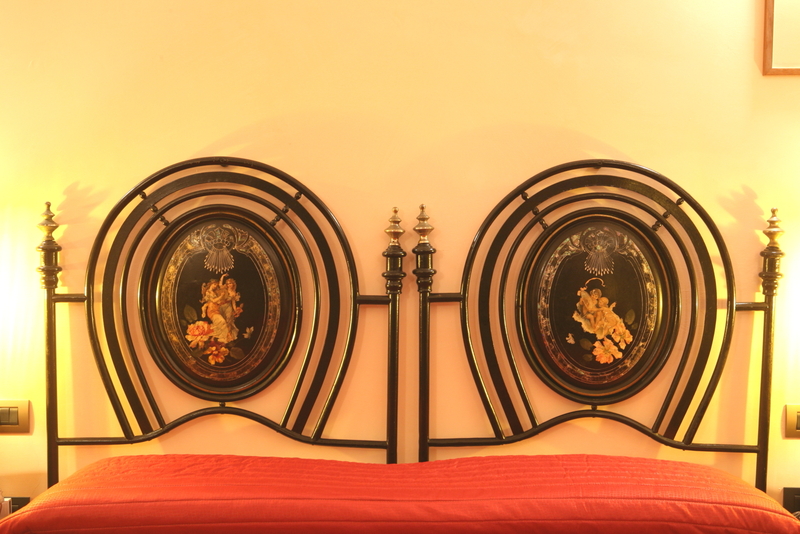 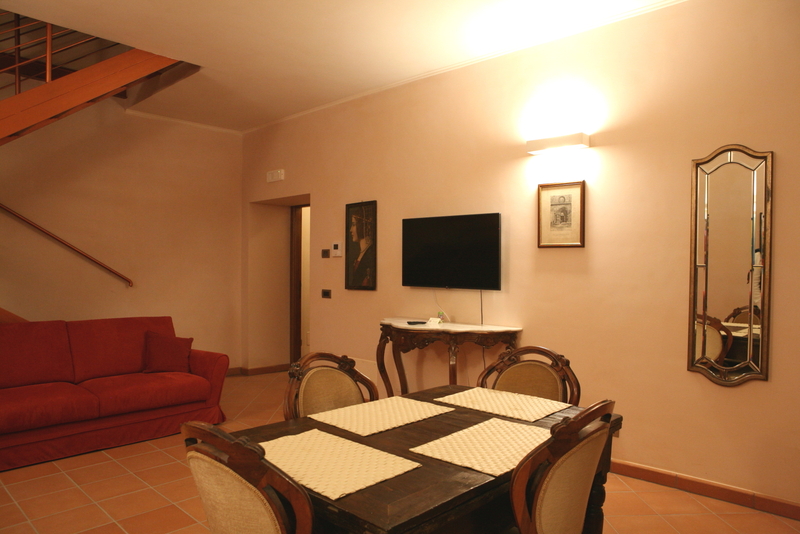 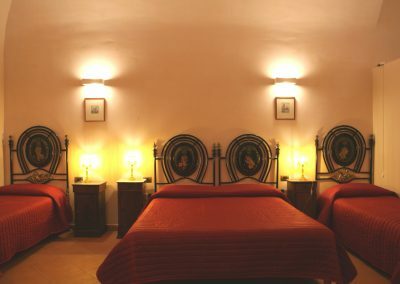 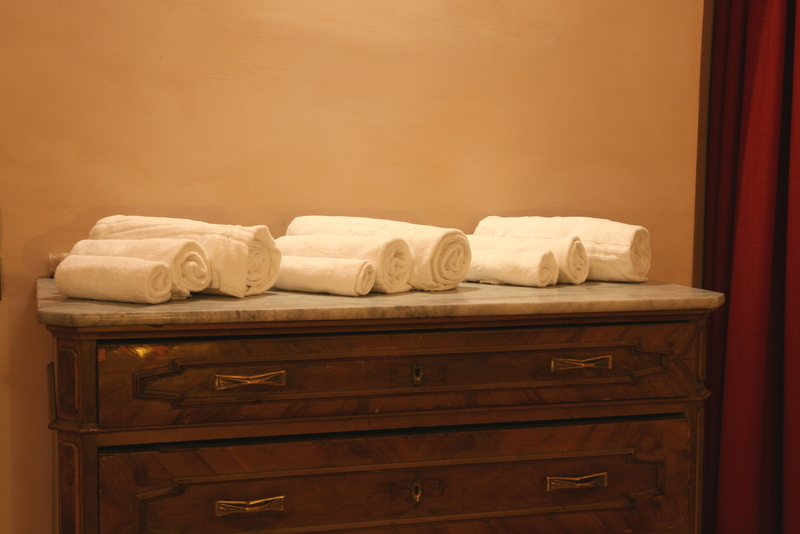 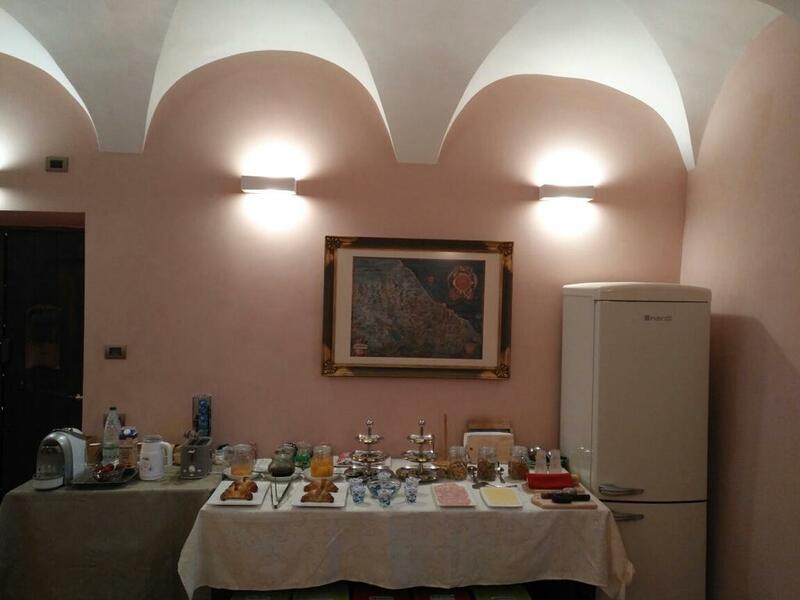 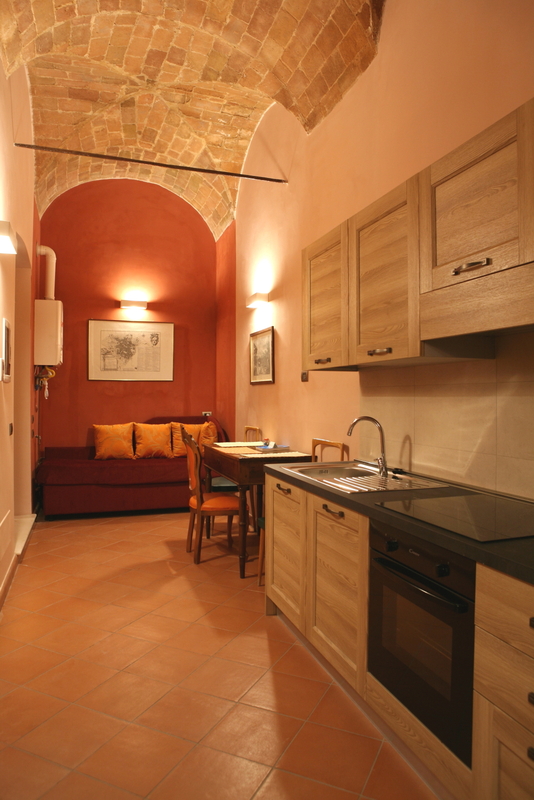 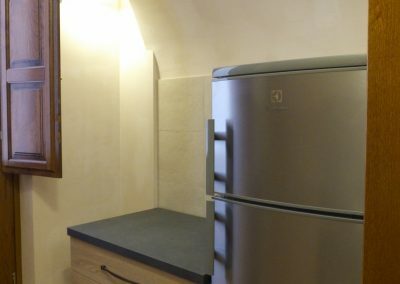 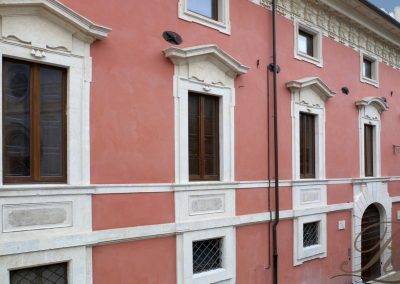 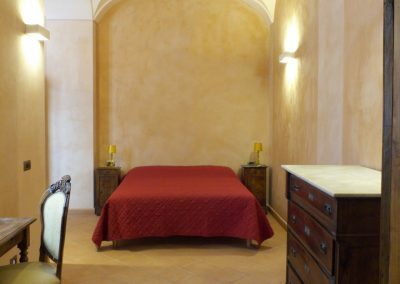 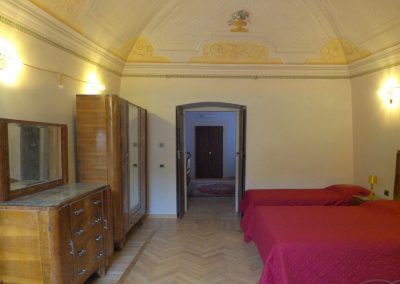 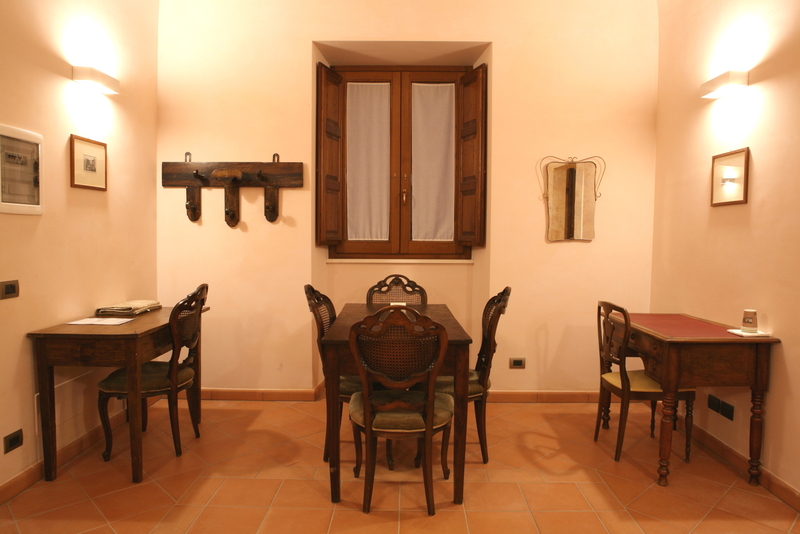 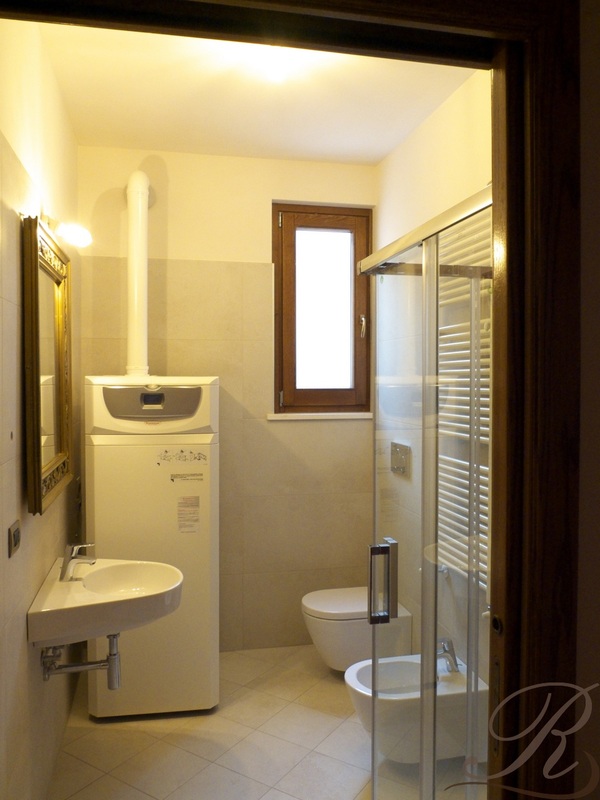 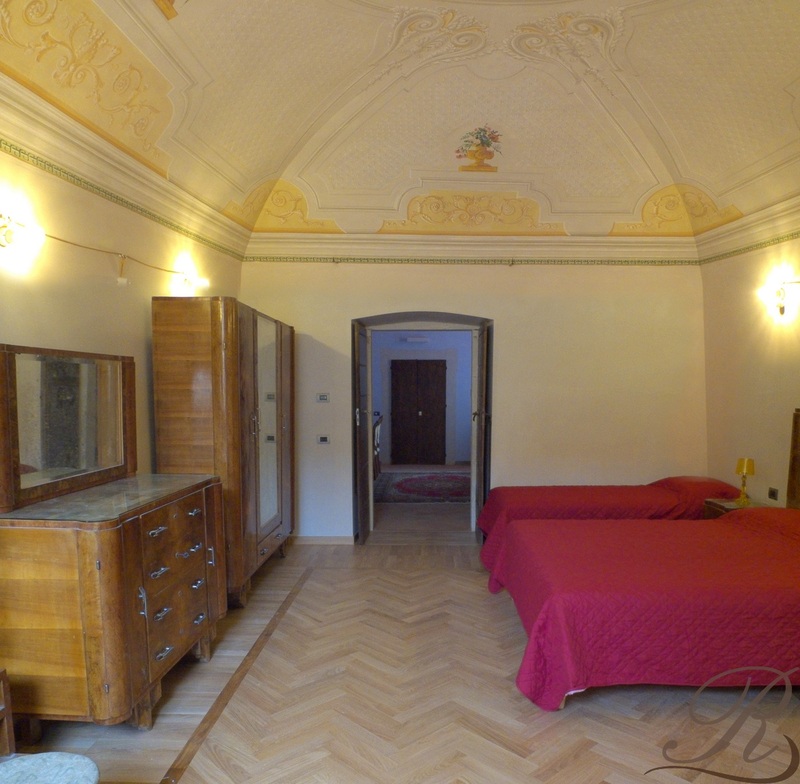 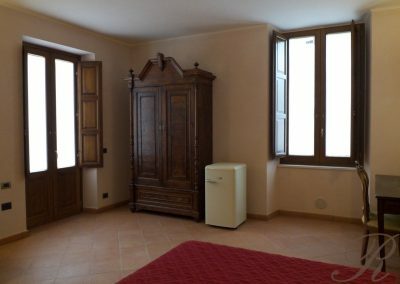 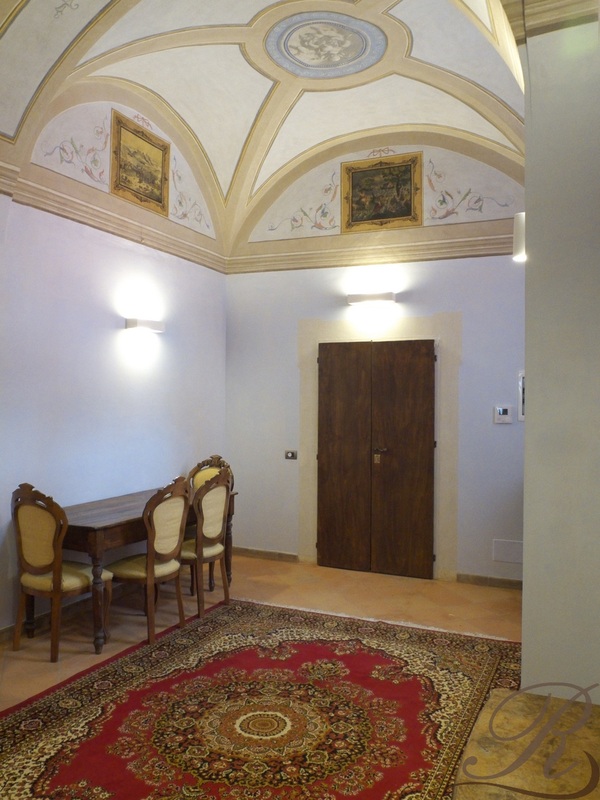 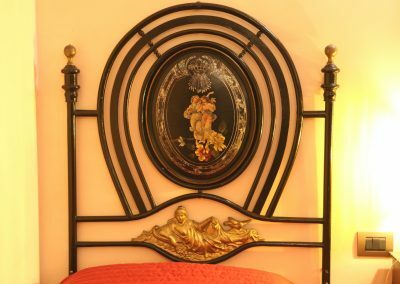 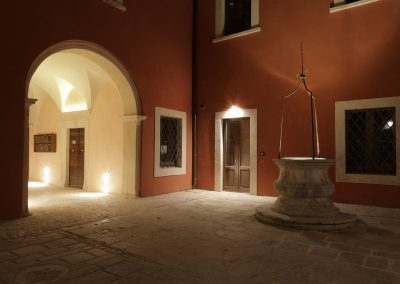 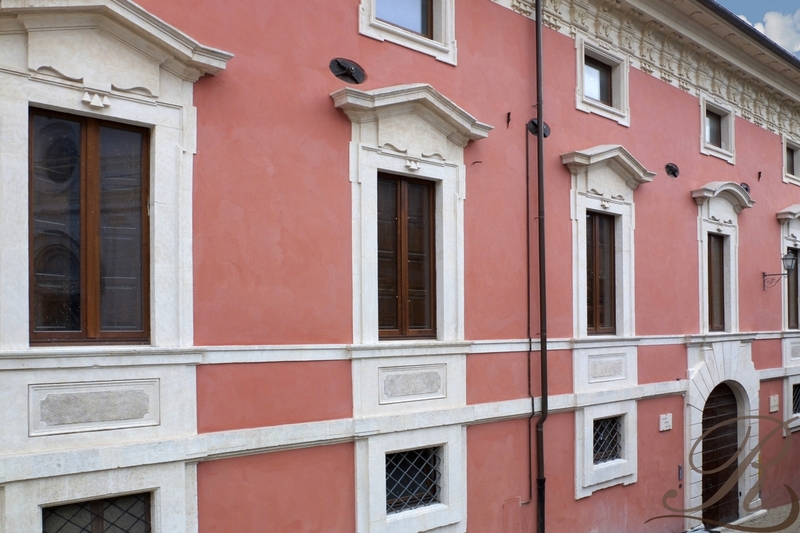 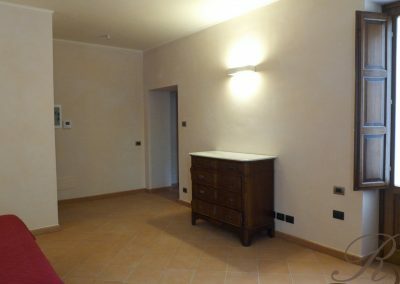 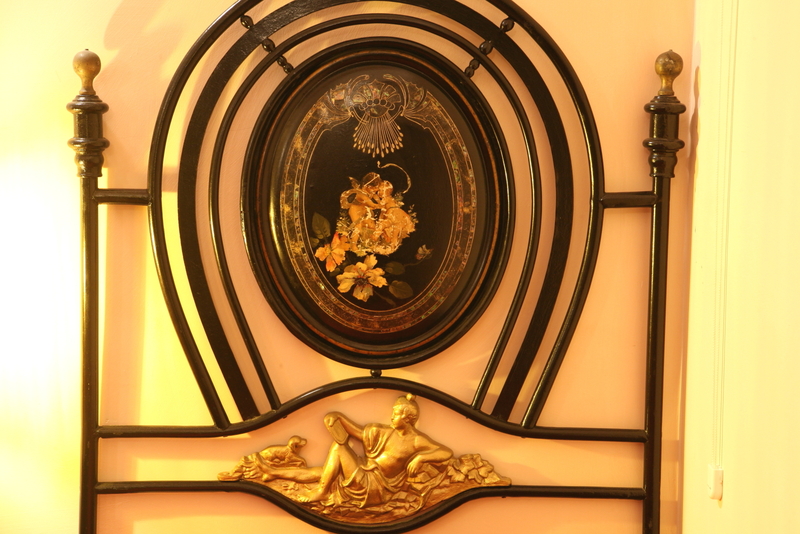 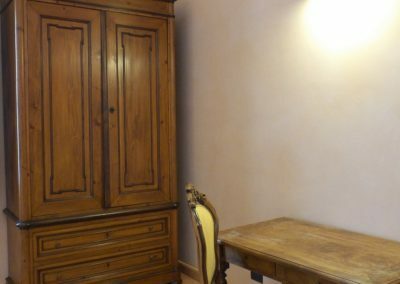 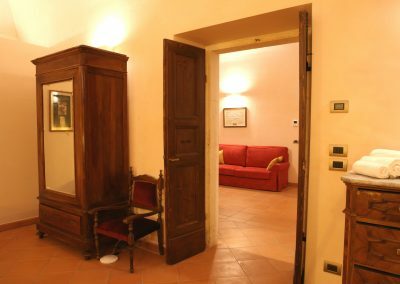 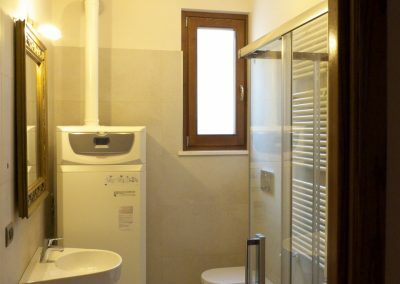 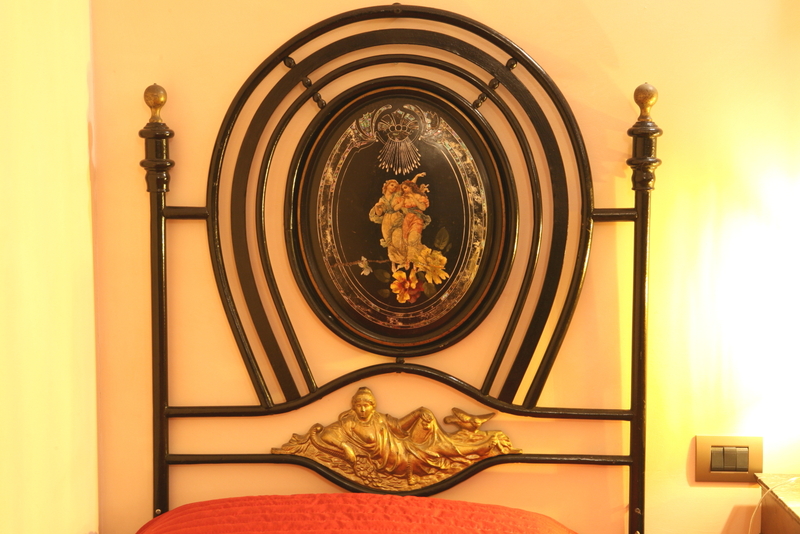 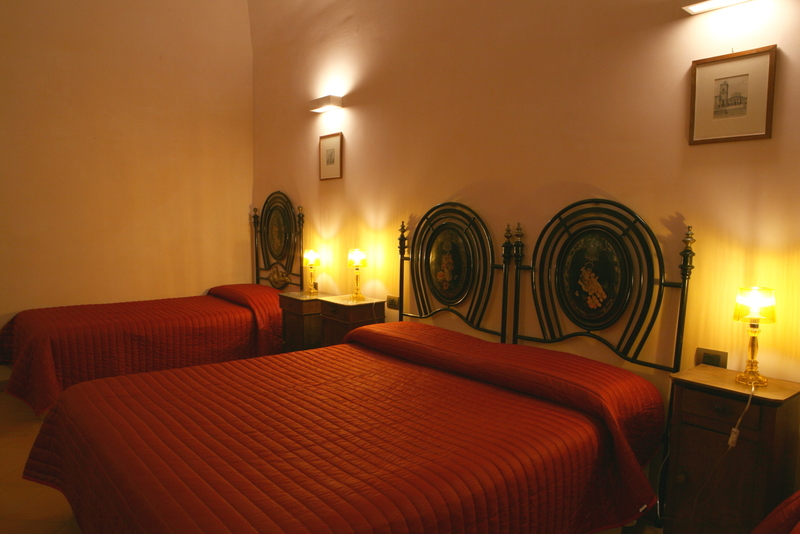 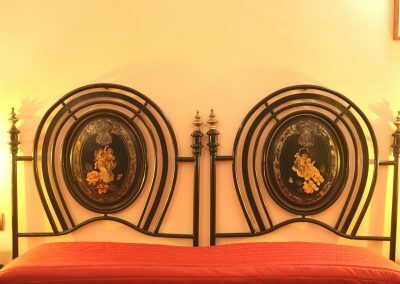 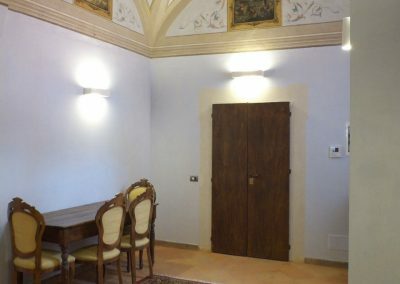 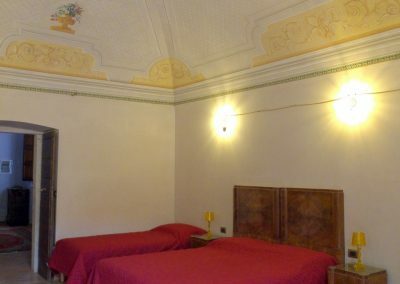 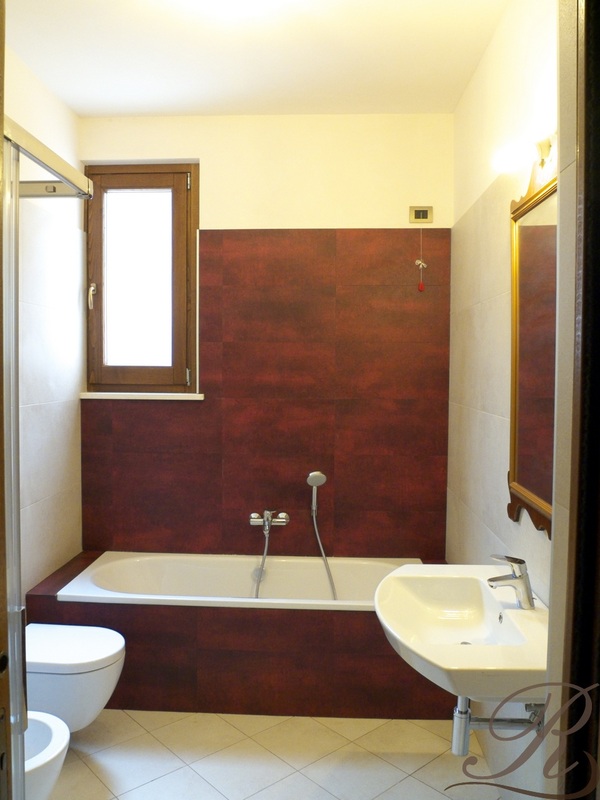 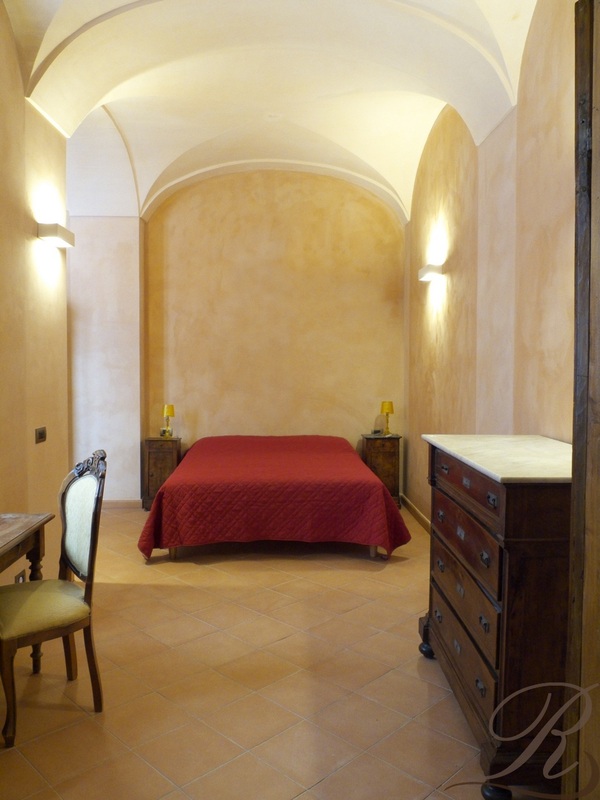 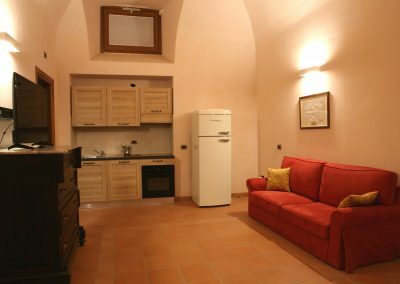 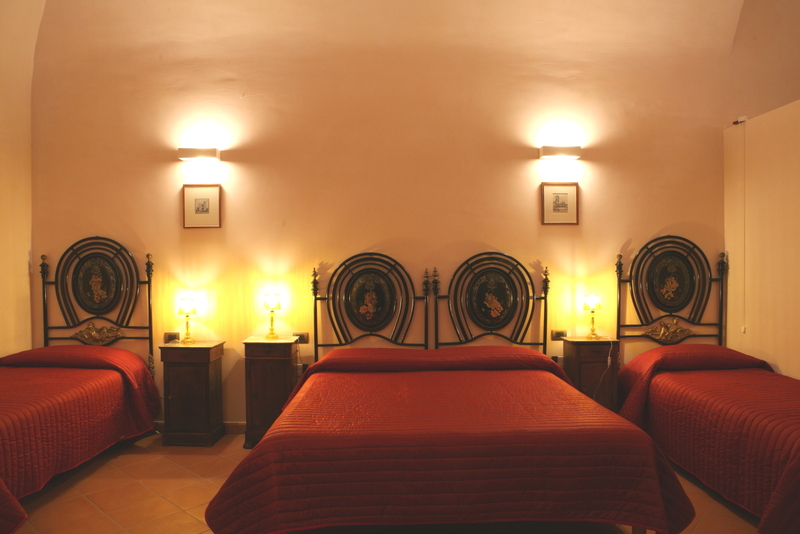 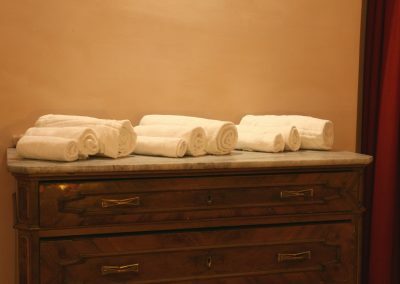 The B&b Palazzo Rustici is a little charming hotel in the San Marciano district, one of the historical block of L’Aquila city. 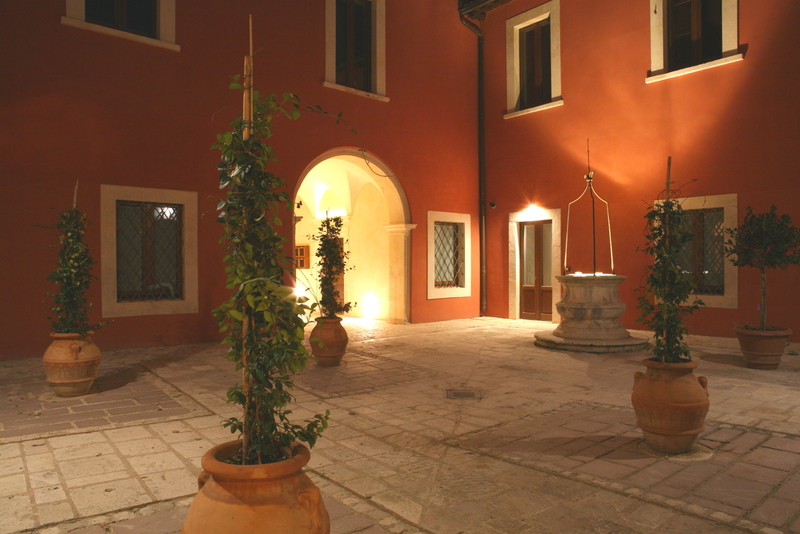 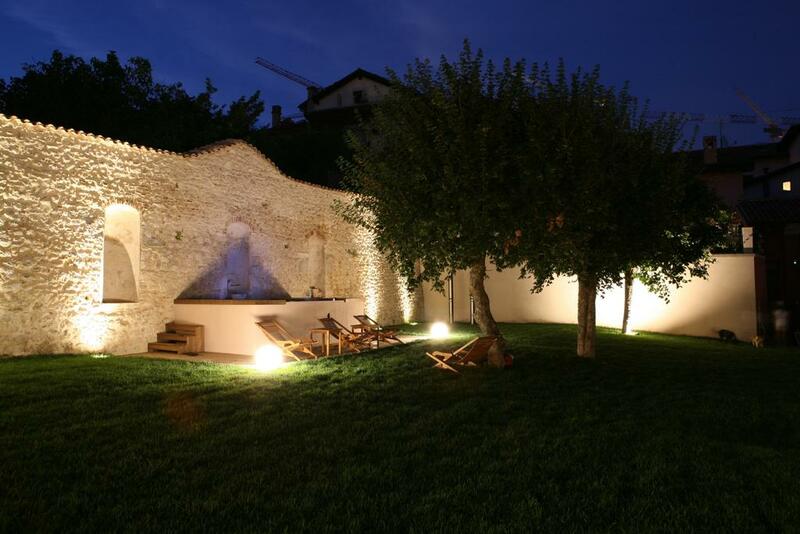 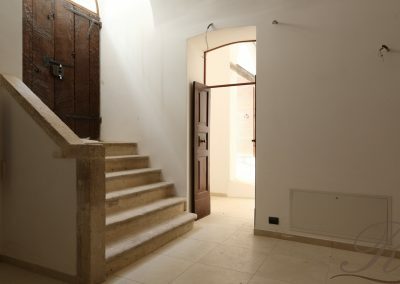 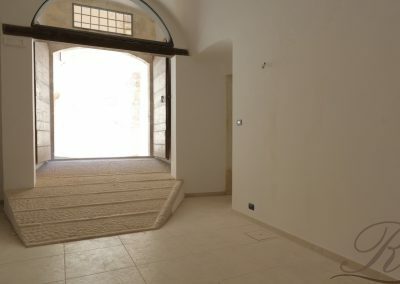 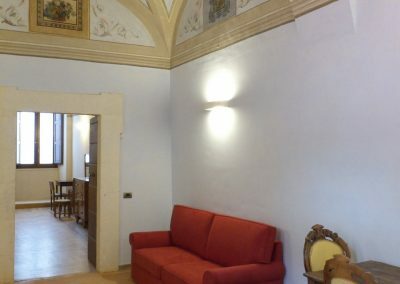 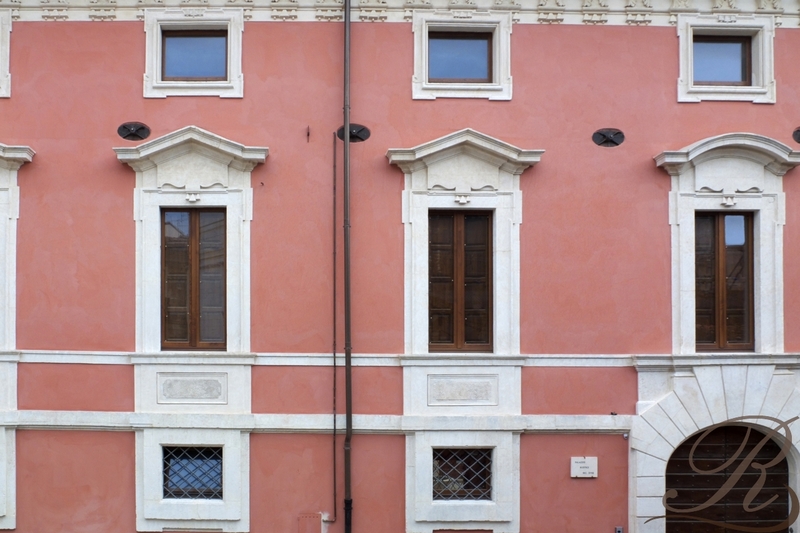 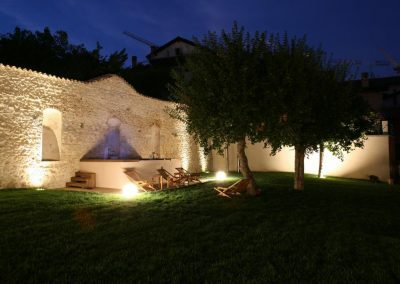 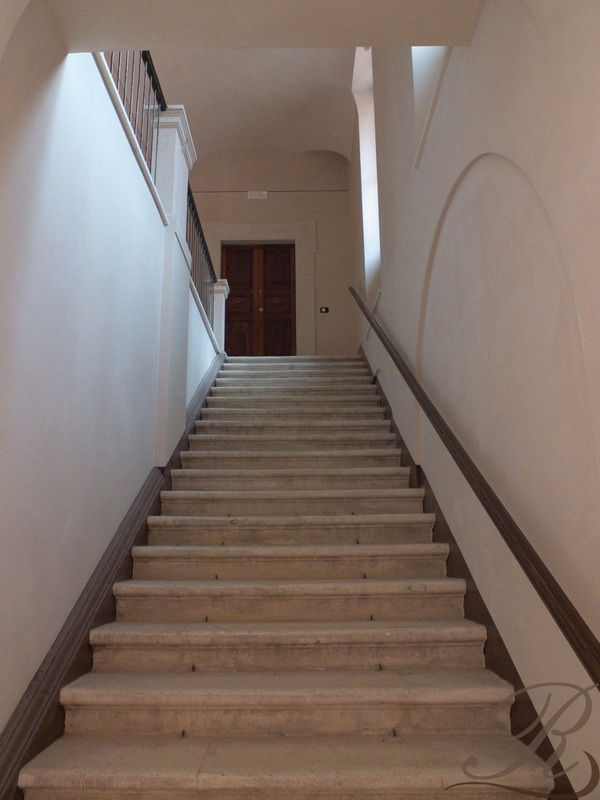 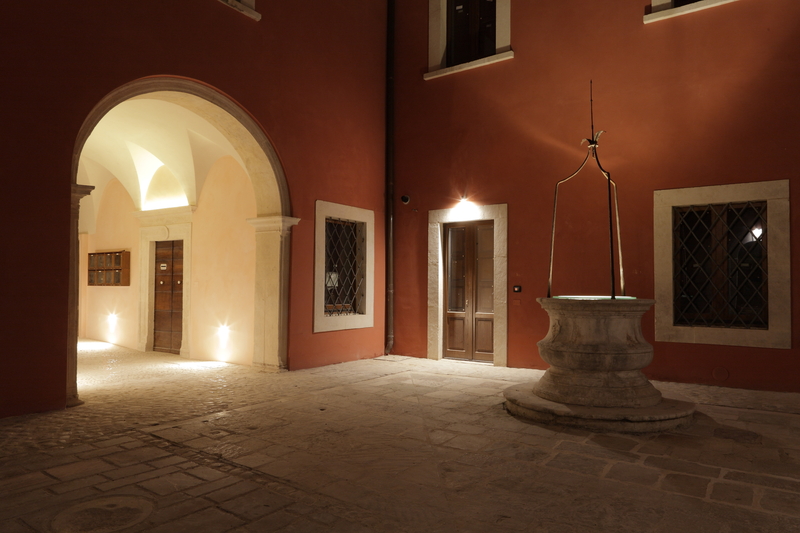 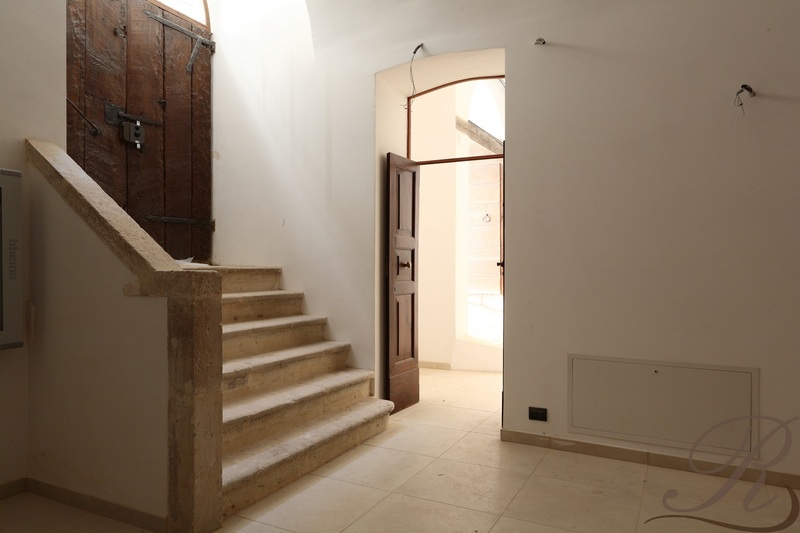 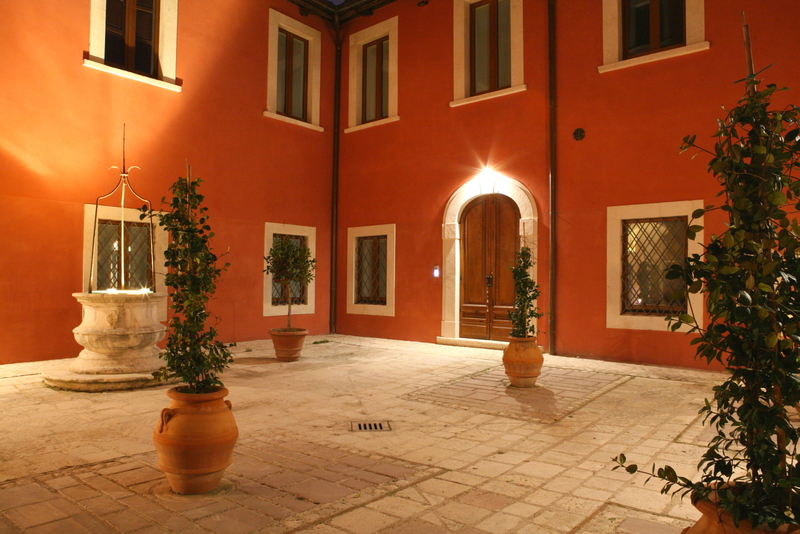 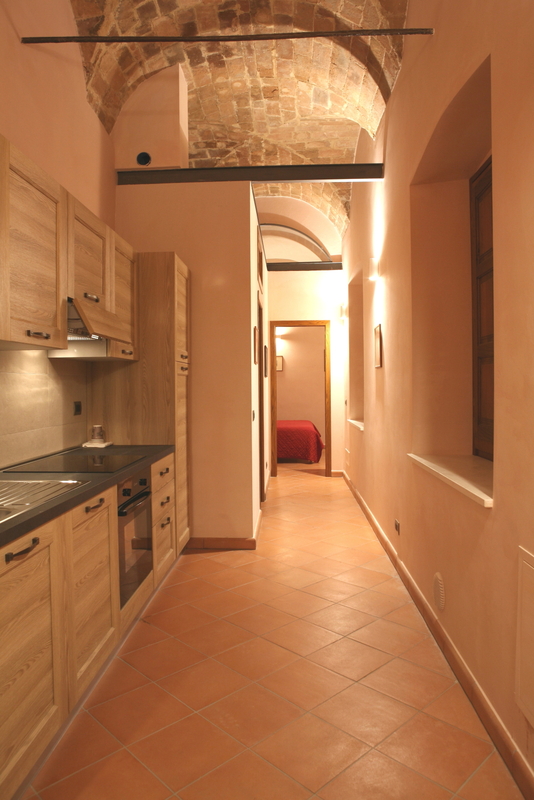 It is based in the 17th century Palazzo Rustici and featured by a suggestive backyard with A well / tank. 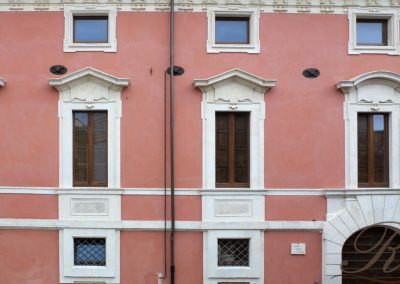 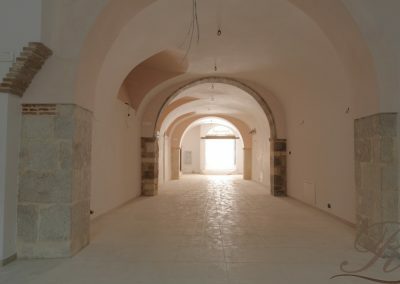 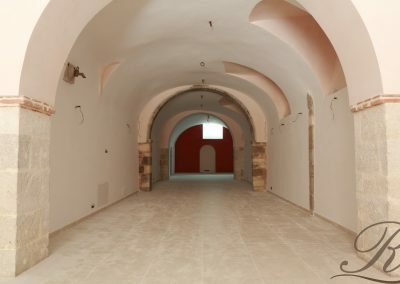 The palace was restored to the orginal former glory after L’Aquila’s catastrophic earthquake in the april 6, 2009. 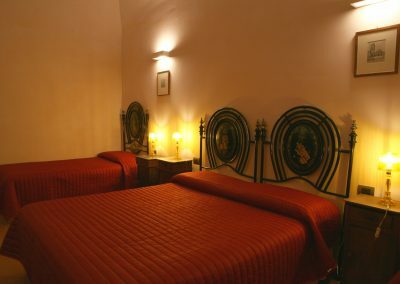 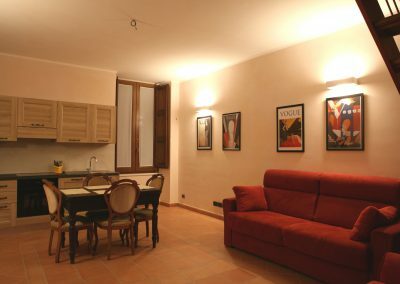 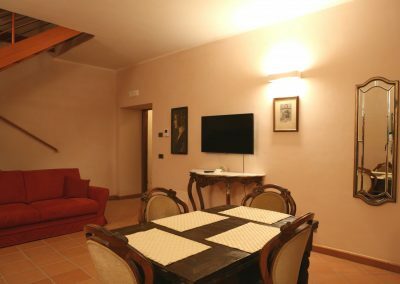 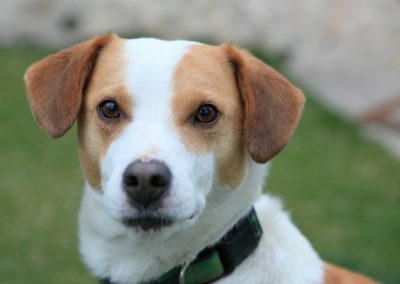 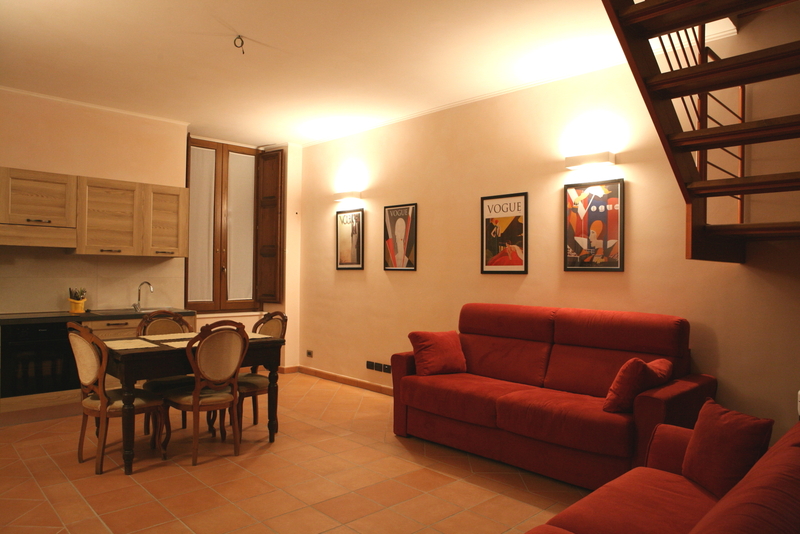 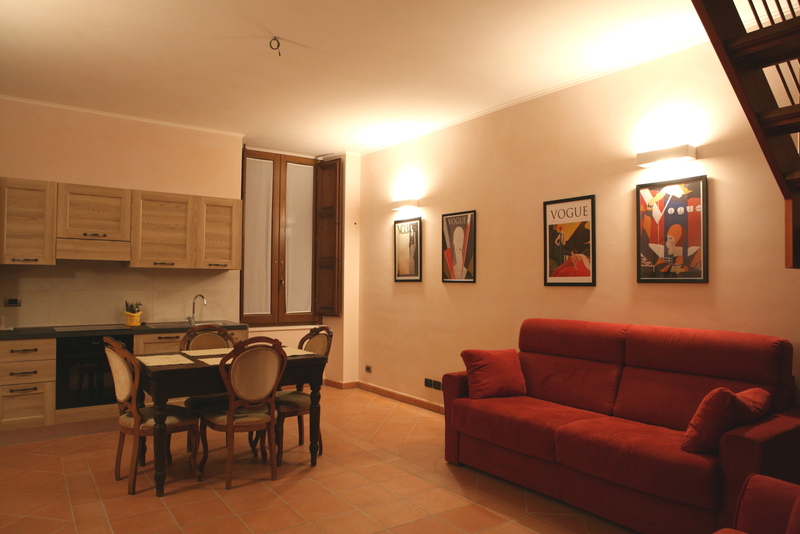 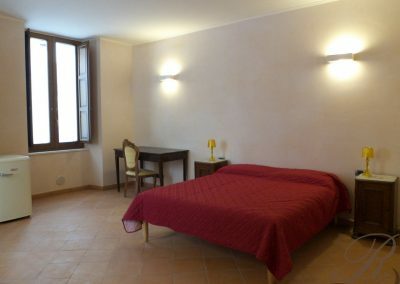 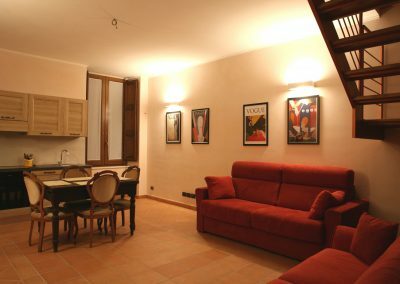 Three large, bright and comfortable double rooms and a three-room suite with a fully equipped kitchen. 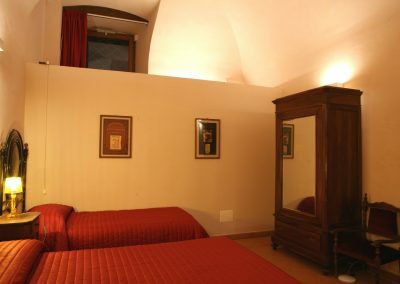 The suite can accomodate up to 4 people. 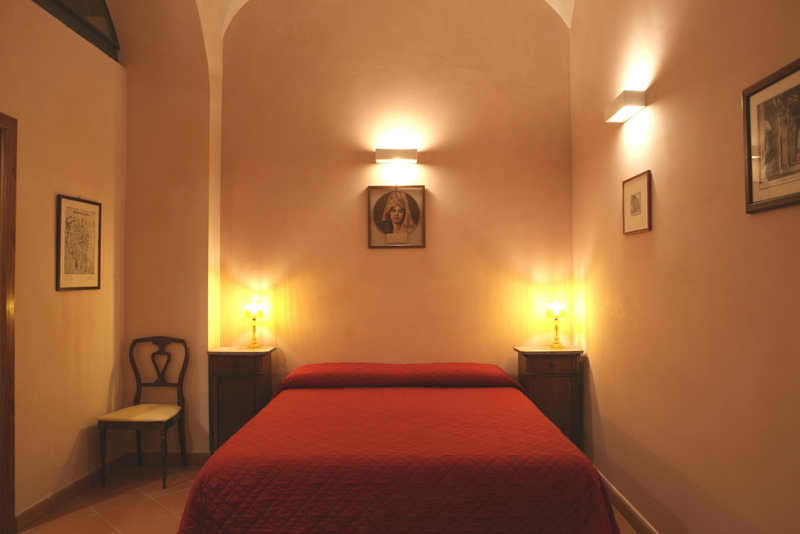 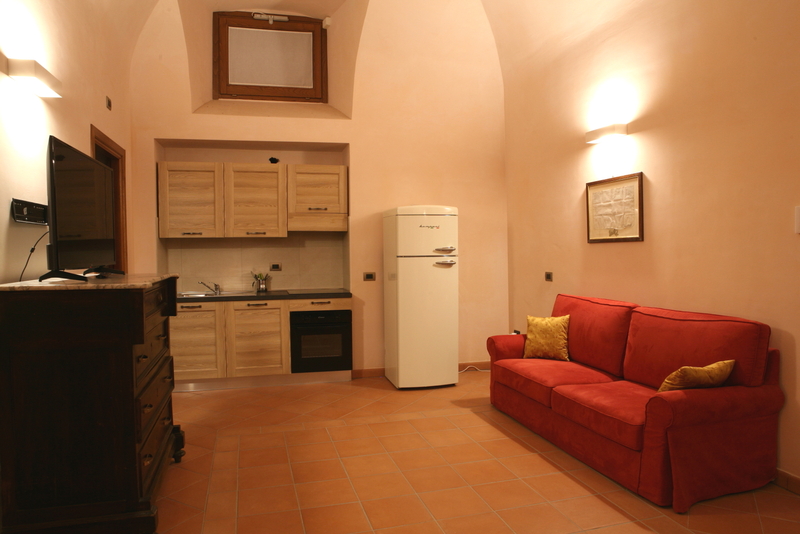 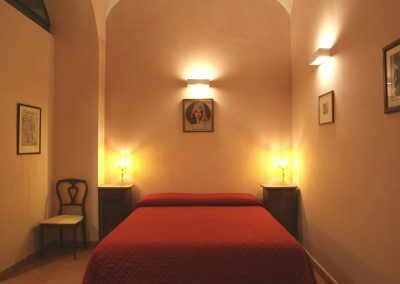 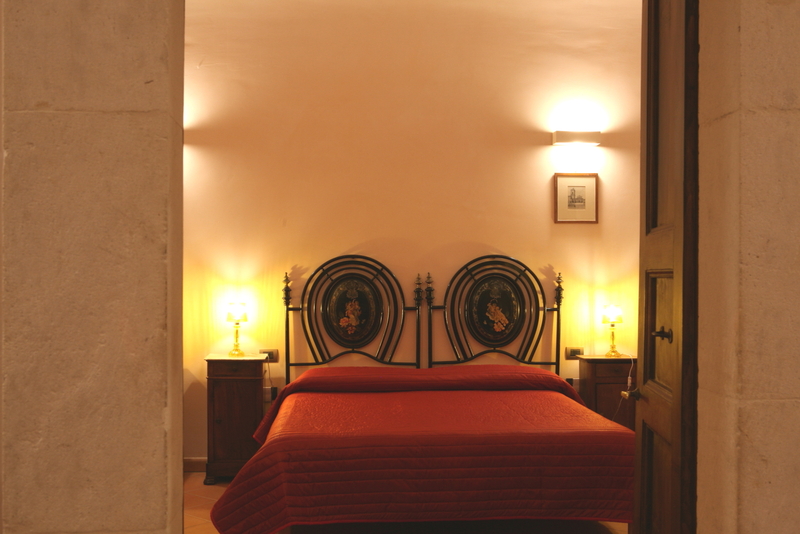 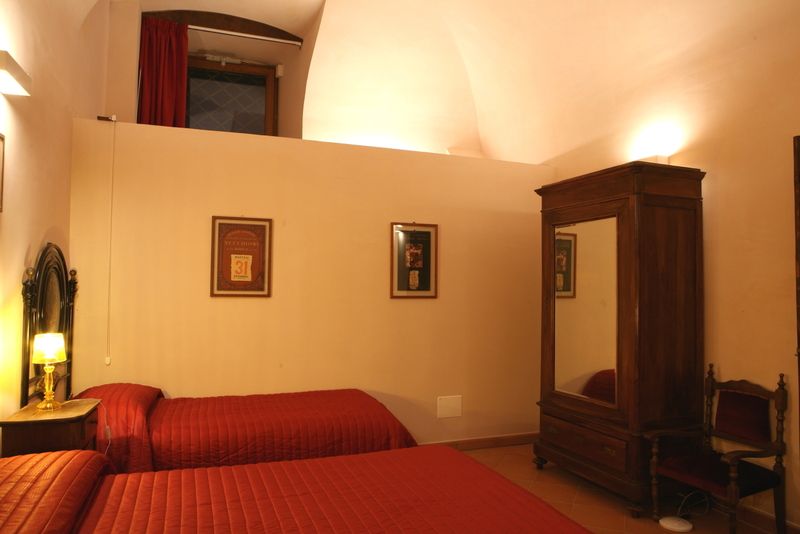 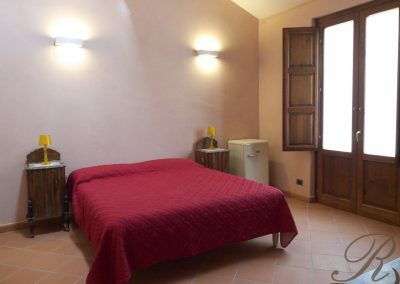 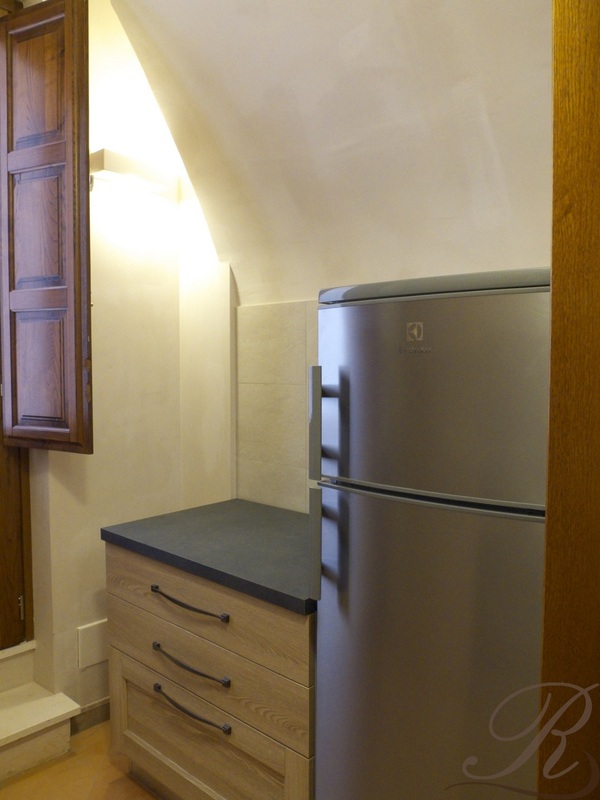 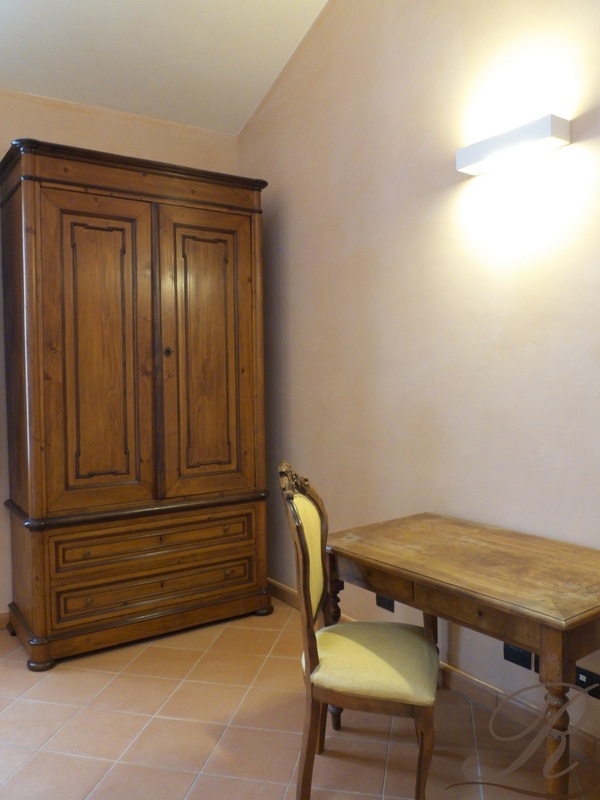 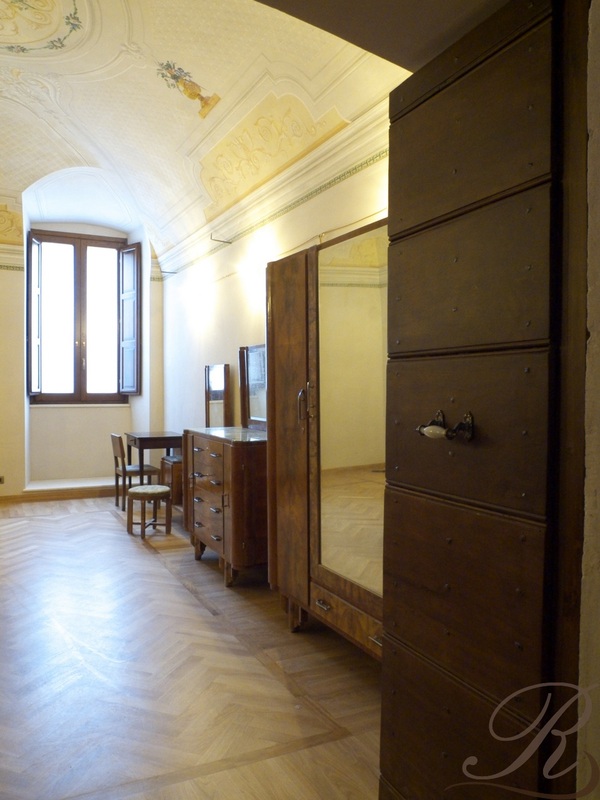 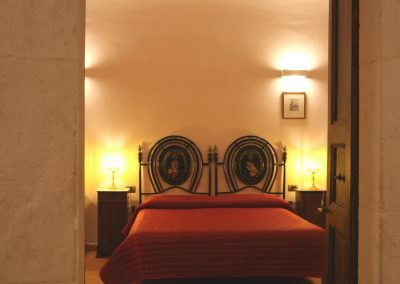 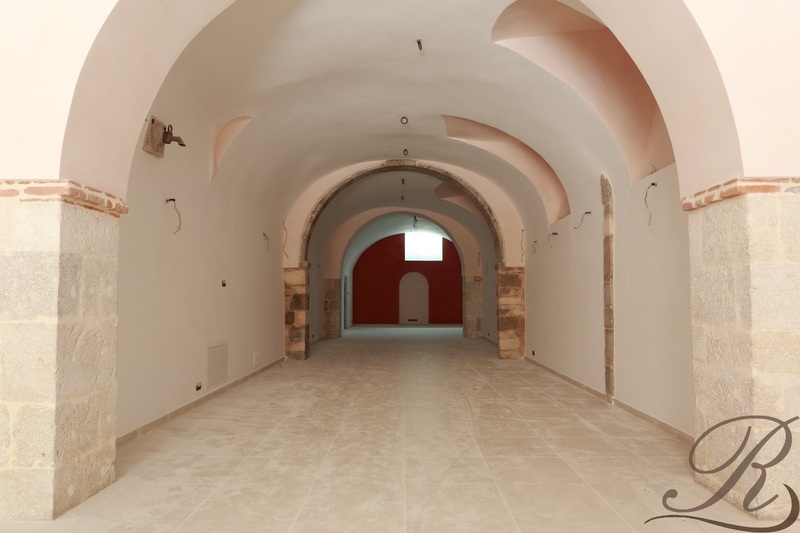 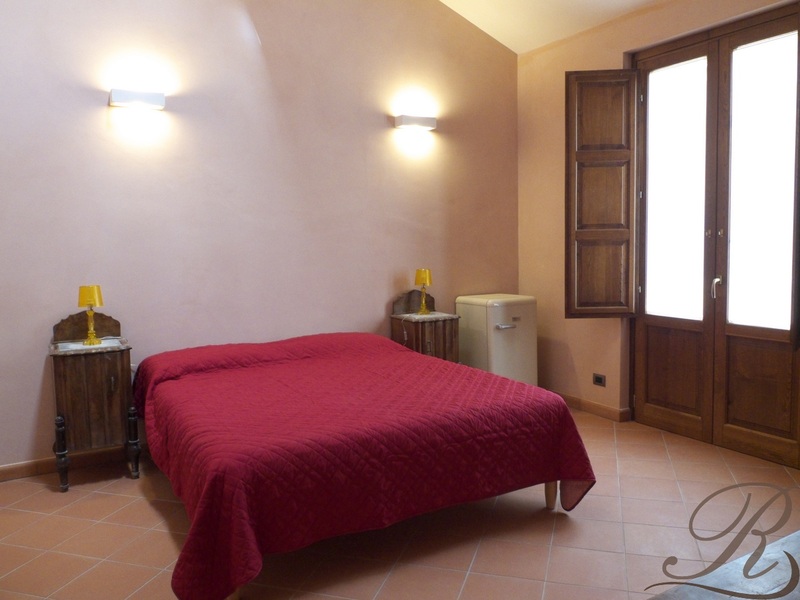 All the bedrooms are vintage furnished, the suite is characterised by vaulted ceilings. 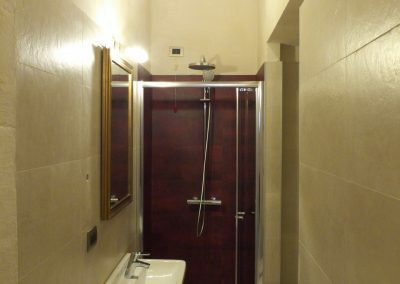 They all got a private bathroom with shower or bathtub, a wall-fixed hairdryer, fan, fridge, orthopedic wooden net with mat and memory foam pillows, writing desk, free wi-fi and internet connected smart tv. 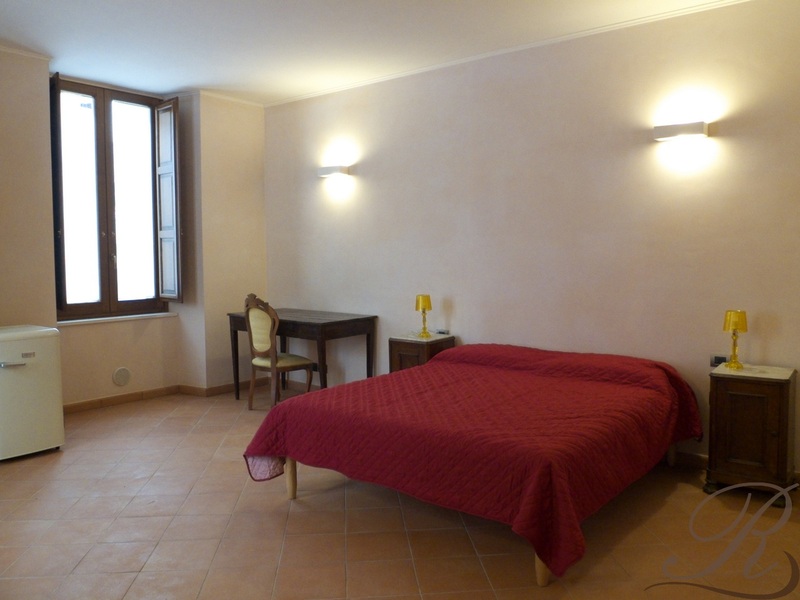 Two bedrooms got also a large terrace. 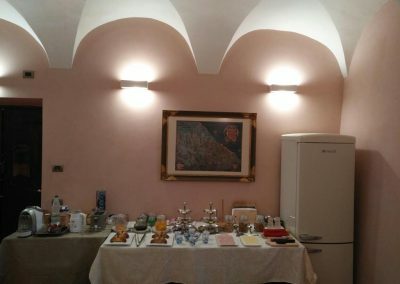 Breakfast is included on the room’s rate. 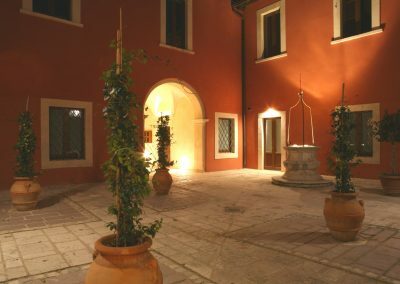 Many public parking places are located close to the B&B. 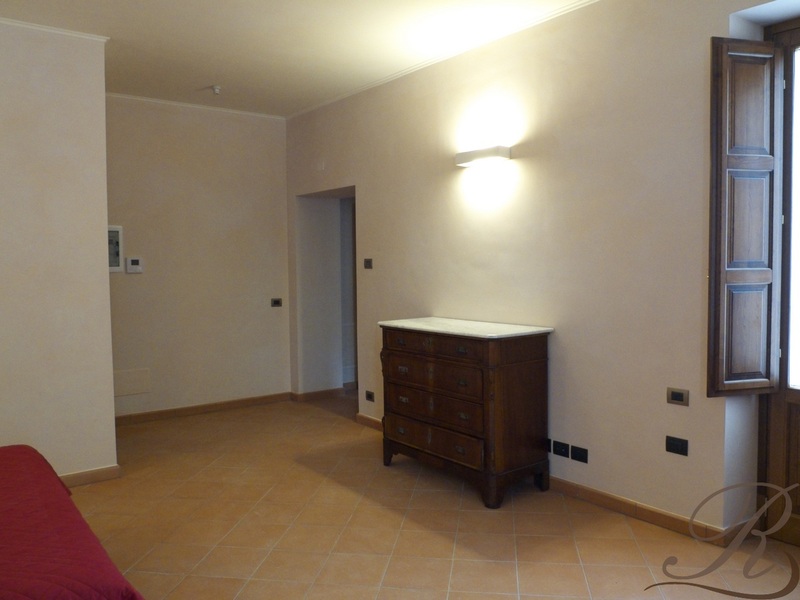 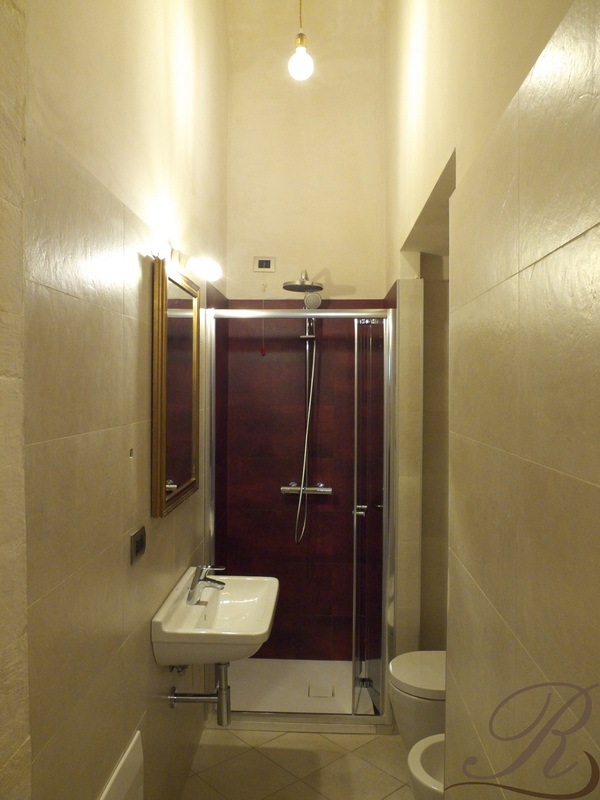 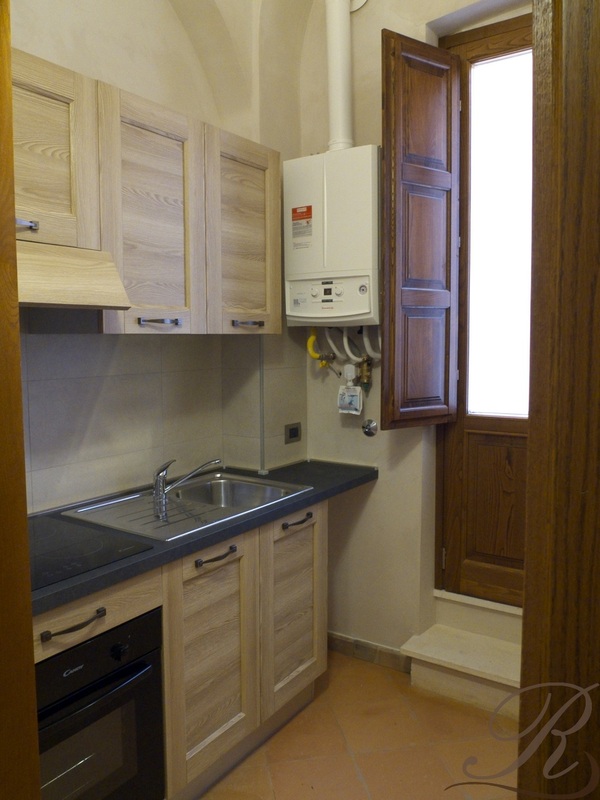 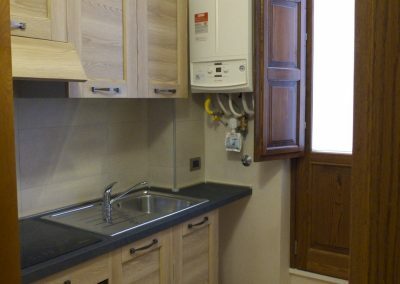 There are also two or three bedroom apartments with kitchenette to rent weekly or for longer periods. 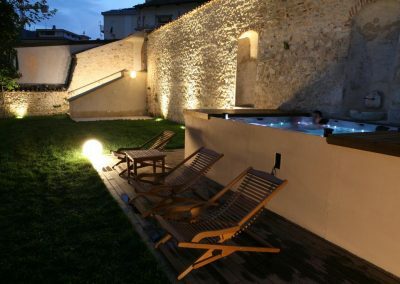 Starting from july 2018, available to our guests a pool/SPA for free!